Your telephone system sits at the heart of your business as one of your main communication tools. Rapid change in technology means there is a vast array of features and facilities available on modern telephone systems to help your business. Deployment options have changed too since you last changed your system. Today they can still be installed on site or increasingly popular are Cloud or Hosted solutions. Commercially you can purchase, lease or rent a solution from RHM. Our role is to understand your requirements and recommend the best fit for you in terms of functionality and budget. We work with you to design and specify a bespoke telephone system, using exactly the right technology that meets the needs of your business. And we get it right first time. We’ve been installing telephone systems for more than 20 years, so we know you want minimum disruption and maximum customer service. We will take ownership of all the elements involved in delivering a successful telephony implementation. From porting your telephone numbers, cabling your premises, installing new lines through to programming your new platform to ensure it delivers improved business efficiency. Should you run into any problems, our remote monitoring systems will pick them up quickly and our customer service teams and helpdesk will either resolve them remotely or we’ll get someone on site to get it fixed. We make it our business to ensure our response times are better than the industry standard. Looking to grow your business, improved, flexible communication between your workforce and deliver a better service to your customers? Whether you’re unhappy with your current supplier, moving office and need a new solution, or just looking for information to make a decision, make the right call, call RHM. With easier access to lower cost, better quality business grade internet connections, more and more businesses are preferring to implement Hosted Telephony. This streamlined approach means the main control unit is no longer installed on your premises but hosted in the Cloud and accessed via your internet connection. RHM has years of experience in providing hosted solutions and has invested in three wholesale relationships to ensure we can match you with a solution that meets both your operational and financial requirements. Ericsson LG, Gamma and NFON are our preferred hosted telephony partners. Although suitable for any sized business, Hosted Telephony is an ideal solution for companies with multiple sites as its capable of serving hundreds of employees. It’s easy to upgrade, has great flexibility and there are no hidden costs. You only pay per seat and our bundles include all your calls, making it easier to budget. The traditional way to deliver telephone systems for business. A control unit or server is installed on site and all handsets communicate with this device. Ideal for any business with the cash available to purchase and own their own equipment or happy to take out finance, typically over a 5-year period. Telephone lines and support are then paid for monthly. 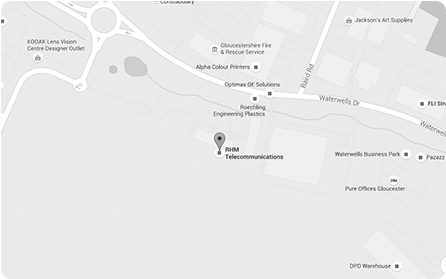 RHM has been installing and supporting on site telephone systems for more than 20 years. Our reliable, scalable solutions are suitable for businesses of all shapes and sizes. From single to multi-site locations, we can provide you with a future proof system that meets all your needs. Because we’ve worked with key hardware suppliers such as Avaya and Ericsson LG, for more than 20 years, some of our customers are on their 3rd or 4th generation systems and have been able to migrate and upgrade without having replace all the equipment or licences.